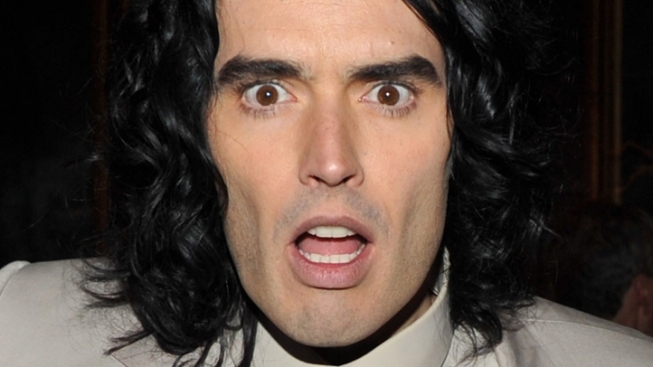 Get ready for Russell Brand on a late-night show. Late-night will be getting a dose of British comedy from actor/comedian Russell Brand! FX announced on Thursday that Russell will host six half-hour installments of an unscripted as-yet-untitled show in front of a live audience. The show will give the funnyman's "unvarnished, unfiltered take on current events, politics and pop culture," the network said in a statement to Access Hollywood – with plenty of audience interaction too. "I am so excited I'm on the point of climax, in fact I will put the 'O' into FX, which spells FOX, which is actually the channel's real name," the actor/comedian said in a statement. "That's the only thing that worries me about all this to be honest. At least I'll be able to have a Christmas drink with Bill O'Reilly." "Flight of the Conchords" producer Troy Miller is teaming up with Russell for the series – something the network believes will push the envelope of TV comedy. "We're very excited to add Russell Brand's bracingly funny, original, and honest voice to the FX comedy line-up," Nick Grad, Executive Vice President, Original Programming at FX said in a statement. "We look forward to supporting Russell and his partner Troy Miller's ambition to strip down the hosted comedy format to its most fundamental elements and to create something daring and unfiltered for the FX audience." Russell's late-night show is slated to debut in spring 2012.